The architectural massing of these dwellings are massed in such a way as to replicate the appearance of three dwellings – mitigating the neighbour’s perception of high density, while reducing land cost per dwellings and assisting in affordability. 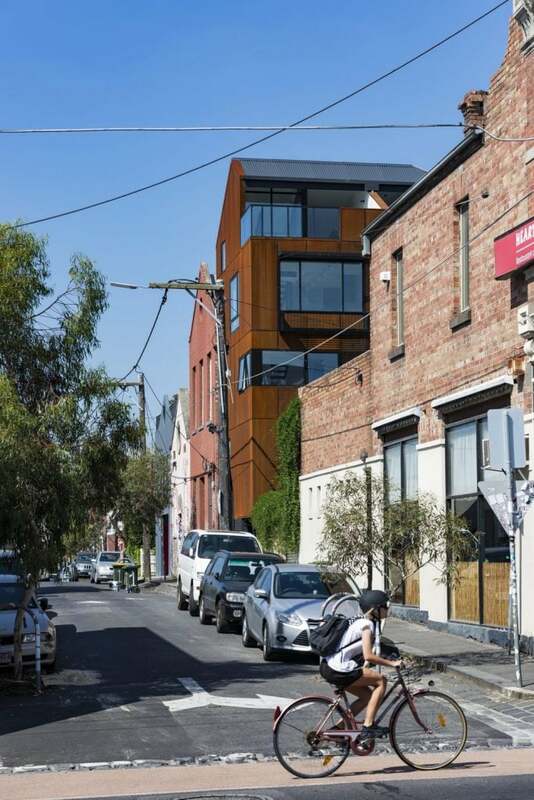 Located in the inner north Melbourne suburb of Preston, the project sets out to provide compact affordable architectural housing at a time, and in a suburb, where rapidly increasing prices are putting a strain on home-ownership. While a site that is 840m2 would typically be developed into three generic townhouses, we increased this density almost three-fold, to 8 dwellings. This hybrid development is a mixture of one, two and three bedrooms, with sizes that range from 50m2 to 90m2. 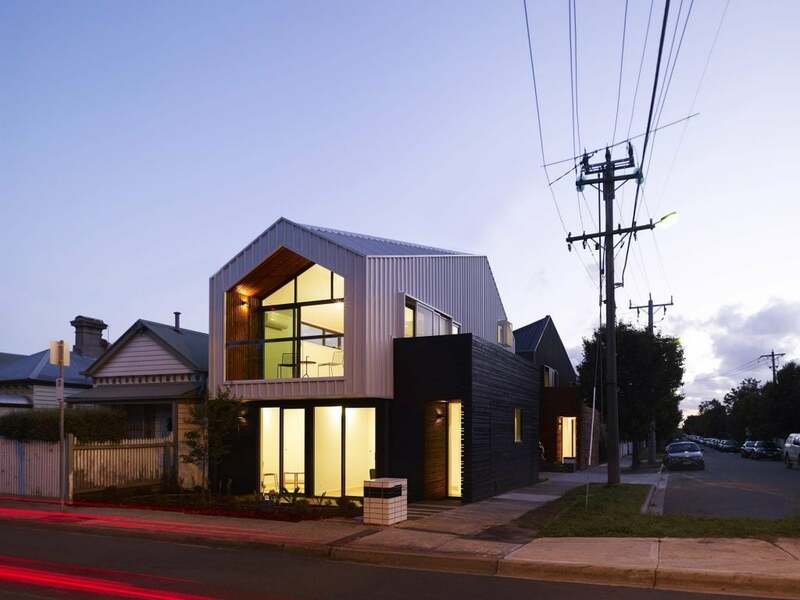 The architectural massing of these dwellings are massed in such a way as to replicate the appearance of three dwellings – mitigating the neighbour’s perception of high density, while reducing land cost per dwellings and assisting in affordability. Simple familiar domestic elements such as bricks, weatherboards, pitched roofs and paling fences are abstracted and employed in new ways, also helping to create a high density architecture that nevertheless sits comfortably within the suburban context. Simple construction techniques also assist in keeping building costs down. 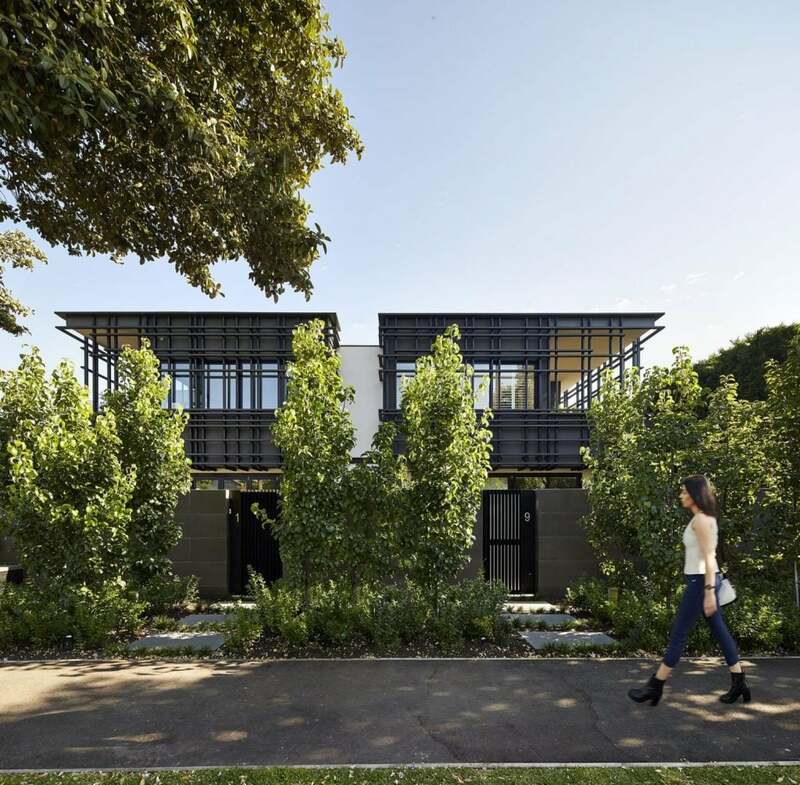 At Albert Street, DKO has delivered eight homes, rich in space and materials, that are responsive to the local urban landscape and yet do not compromise on quality. It is a hybrid architecture that we hope can provide an example to others wishing to provide considered outcomes at an attainable price.